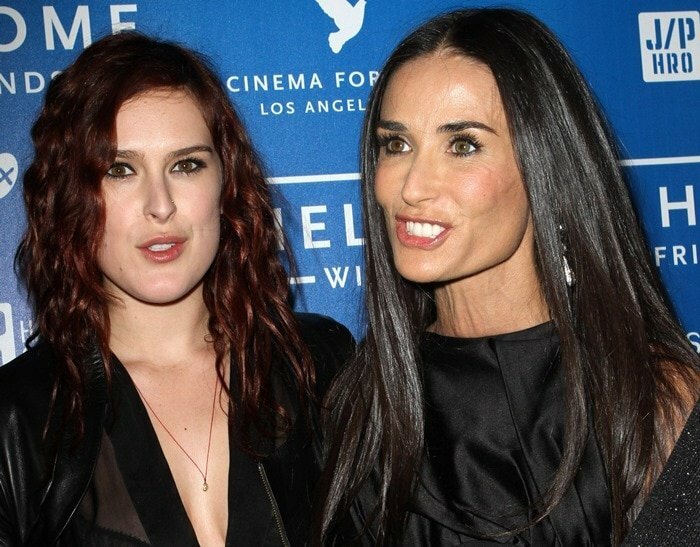 If there’s one celebrity who looks more beautiful than any of her daughters combined, that would be Demi Moore. The seasoned actress was spotted attending a Cinema For Peace event benefiting J/P Haitian Relief Organization with her daughter, Rumer, last Saturday. For the event, Demi kept it simple in an LBD and capped off her look with stunning ankle wrapping sandals from Jimmy Choo. What do you think of Demi’s look here? True, she looks rather anorexic, but still beautiful as usual. Now although it may not appear as gorgeous from afar, Demi’s shoes are actually the black versions of these mesh detailed, glitter covered sandals from the label called the Leila. Up close, you really can’t help but simply admit that they are quite exquisite. Right now, the Leila is only available for pre-order via Nordstrom and Farfetch. If you want Demi’s black version, only Nordstrom offers the variant. Also, grabbing the Leila will set you back $995, which is basically a lot of money so if you’re not into splurging on shoes, try these more affordable ankle wrap sandals instead.